I loved this book! 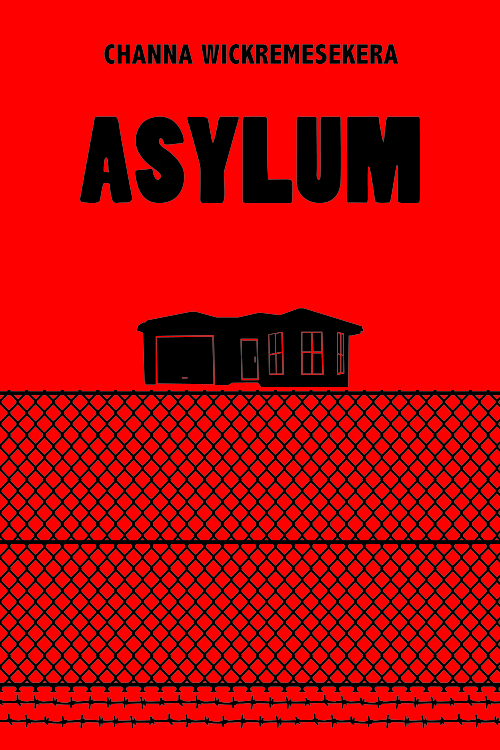 Asylum is an hilarious inversion of anything you might be expecting from the cover. Channa Wickremesekera is a Melbourne author who came here from Sri Lanka, but his novel follows the adventures of a suburban family of Afghan origin when they are confronted by a freckled teenage gunman in their home. The story is narrated by a bemused teenager called Khalid Khan whose commentary is droll in the way that only an adolescent view of the world can be. Mum is the boss of this household, and when the teenage gunman bursts into their breakfast routine, it is she who decides that it is against their religion to deliver him into the hands of the armed police outside. Oh, I have heard all this before. How you should look after people who take refuge with you, even if they are your worst enemies. Even if they have killed your own mother and father. I always thought that kind of thing only happened a long time ago, and if it happened now, it was only in movies. Never thought we will have to practise it. ‘Do we have to take it so seriously?’ I ask. I mean it. This is the twenty-first century. Internet, Facebook, iPods. Do we have to go back to tribal days? I look at Dad, and he seems to agree, at least halfway, even though he doesn’t say it. He has a Facebook page. Not much activity going on there; just a few friends including me and Aisha. But he has made it to the Internet. Mum would too, I guess, if she ever gets out of the kitchen. The street is bustling with armed police, a helicopter is circling overhead, and (much to Khalid’s chagrin) Mustafa from down the road is providing local colour for the TV news. He’s interpreting too, despite everyone inside the house being able to speak English, although Mum resolutely refuses to speak anything other than Dari. With sly, ironic humour, Wickremesekera pierces all kinds of assumptions from both sides of the cultural divide, creating a satisfying parable that will appeal to young people as well as older readers. (Actually, I shouldn’t call it a parable because it isn’t didactic in tone, not at all. But the light-hearted way it explores intercultural exchange, socio-economic disadvantage and religion is a message for our times). You may have trouble tracking these down in bricks and mortar bookshops, but a quick search found In the Same Boat at Readings. There are also internet links below. Available from Fishpond: Asylum; Palaver or Smashwords. There’s a teenager in my family with a birthday soon. I’ll give it to her and see what she says. It’s hard to know what current affairs kids are familiar with and she and her siblings don’t watch tv. I hear that most of them don’t these days… they source everything from their phones! I like the tone of the quotes. Yes, they seem authentic, as if the author has spent a bit of time around young people and knows how they think. It sounds great, I will look out for it.